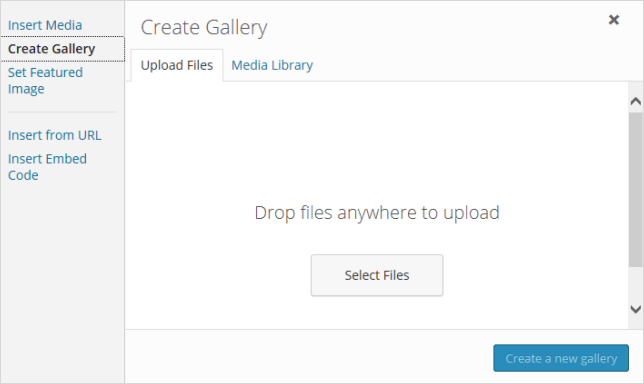 The Slideshows module in the Jetpack by WordPress.com plugin enables you to add slideshows to posts and pages. 2. Type Slideshow embeds into the search field and then click Activate next to Slideshow embed module. Once you’ve activated the Slideshow module it adds a Type option to your Gallery Settings and you just need to select Slideshow as the type if you want to insert a slideshow into your post. 2. Place your cursor in your post/page editor where you want the slideshow to appear. 10. Select Slideshow using the Type option. 12. Your Add Media window will close and a slideshow will appear in your post editor as shown below. 13. When you view your post you will see your slideshow embedded. You can add Slideshows to your sidebar using the Extra Sidebar Widgets module in the Jetpack by WordPress.com plugin. 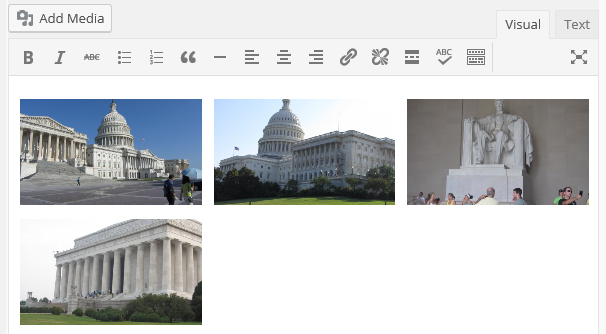 You can add tiled galleries to posts and pages using the Tiled Galleries module in the Jetpack by WordPress.com plugin.